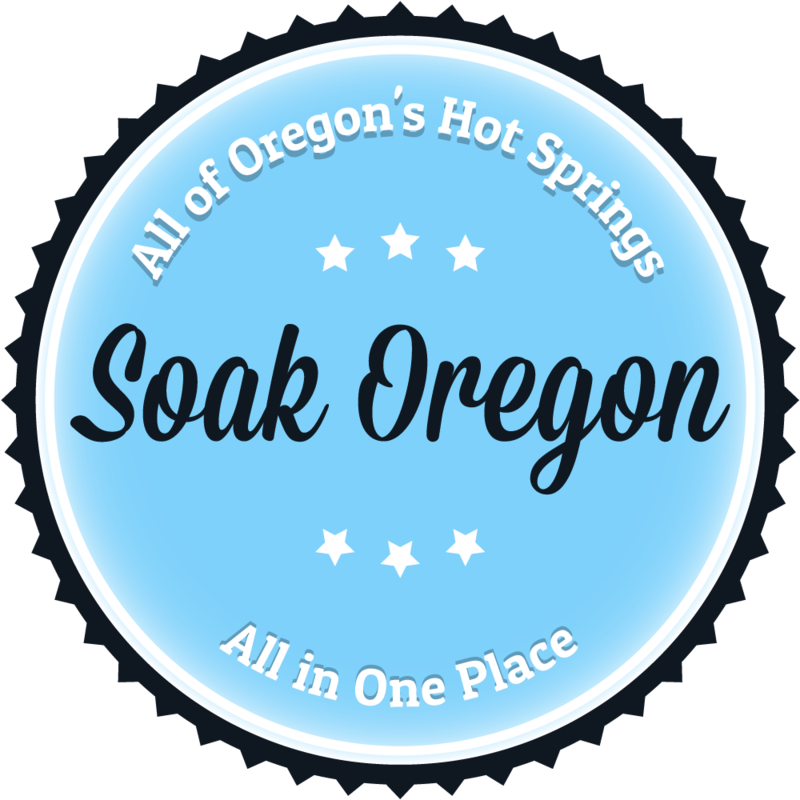 Located in the central Oregon Cascades about one hour from the I5 corridor, Umpqua Hot Springs is year round accessible. Umpqua features 3 hot pools (one covered) located on a mineral deposit situated above the North Umpqua River. A brief but steep hike leads intrepid soak seekers to the pools from the signed parking area. Hot springers have a short, quarter-mile hike most of the year or must contend with a 2-mile hike when the snow flies as the Forest Service access road is not plowed during the off-season. Don’t be surprised when encountering the naked… which is most definitely the norm here. There is also a toilet, two campsites and picnic tables located near the parking area and a composting toilet near the hot springs. From Roseburg: Travel east along Highway 138 then turn north onto Road 34, AKA the west entrance to Toketee Ranger Station. At the bottom of the hill turn left across the two concrete bridges. Proceed 2.2 miles and turn right onto Forest Road 3401. Proceed another 0.7 miles to a parking area on the left. Cross the footbridge over the North Umpqua River to the trail. Turn right, proceed 0.1 miles to a junction. Turn to the right and start to climb a steep trail for 0.2 miles. At the next fork turn right and climb a narrow trail for 0.2 miles. At the final fork, take the path leading uphill and to the left. Look for the shelter. Planning a trip with my daughter mid March, 2018. Can anyone who has been there recently let me know what kind of conditions to expect? I’m heading there as well in a week. From a friend who lives close by it is my understanding that the snow is gone the gate is open and the weather is around 60. Should be a perfect time to visit!! ? Fawn. Is the Gate open now? Unwashed degenerates, dirty dogs, and discarded diapers. Saw a chill dude put dogfood in a plastic deli container, which the dog proceeded to nuzzle into a nearby soaking pool, dumping its contents in the tepid stewpot of humans. Pure vileness, accessible by a 15-minute, whiplash-inducing, wartorn potholed service road. Disappointment awaits!